Canvas wrap is a method of stretching canvas wrap around the sides of the stretcher bar or strainer bars. Exactly how much wraps on your canvas will depend on the thickness of frame you selected, the standard frame we use is 30mm thick, so about 35mm of every side wraps around the sides and back of the frame. 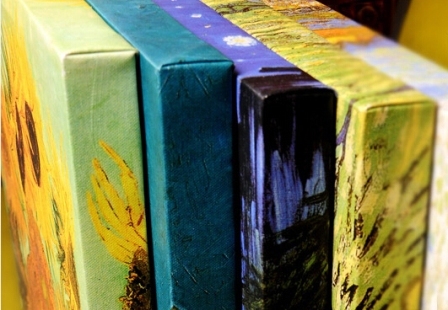 Custom Canvas provide three different wrapping option for your choice. 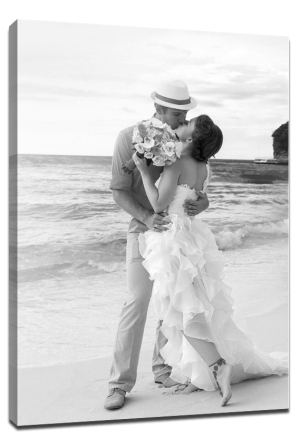 "Mirror Wrap":The sides of canvas will reflect the outside 30mm of your image as a border, lined up with the edges of the frame. 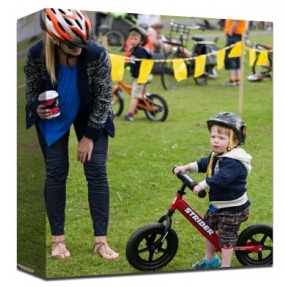 This gives the appearance of a gallery wrap without affecting the image. Noted: If your image has person's body such as eyes, legs and ears, please do not choose his option, otherwise, it will look ugly. 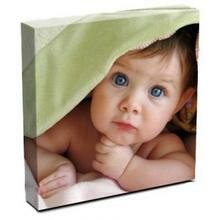 "Gallery wrap" is where an image continues or wraps around the canvas frame. Noted: Sometimes wrapping will affect the subject matter or the balance of the photograph. e.g. 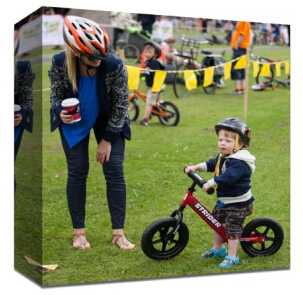 faces are close to edges it will be best for you to choose solid color wrap, otherwise, the important part of image will be wrapped on arround canvas sides. 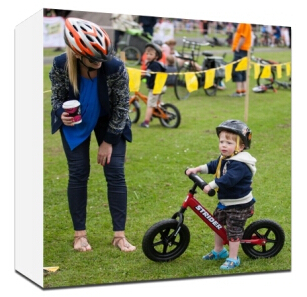 "Solid Color Wrap" is a solid band of colour added to the outside of your image, lined up with the edge of the canvas frame and not visible of the face (front panel) of your canvas.